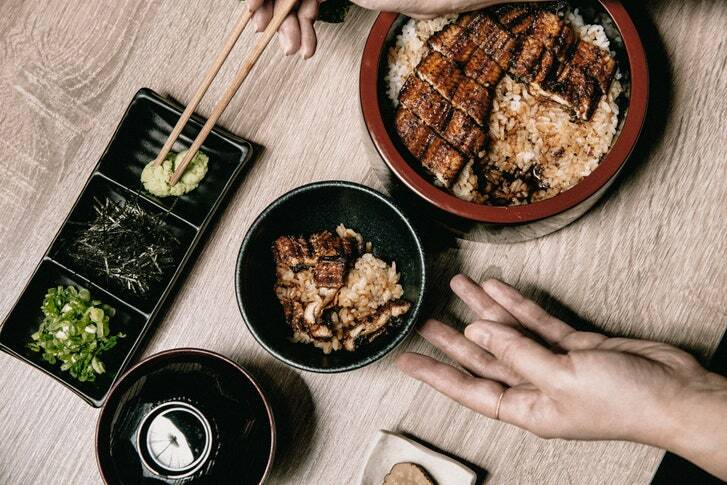 Where once there were none, New York suddenly has two restaurants devoted to unagi, or Japanese freshwater eel, which they import, live, every week. At Unagi-Ya Hachibei, in midtown, a multicourse meal includes (clockwise from bottom left) eel wrapped in omelette; deep-fried eel bones; dashi; sheets of dried seaweed for making hand rolls; grilled eel over rice; condiments; and smoky pickled daikon. In Japan, freshwater eel, or unagi, is such a beloved and age-old delicacy—prized for its nutritional value (it’s high in vitamins and protein), its tender, ever so slightly gelatinous texture, and its rich yet delicate flavor, enjoyed especially in the summertime—that there is a category of restaurants that serve basically nothing else. In New York, where once there were no such establishments, suddenly there are two. At Unagi-Ya Hachibei, the eel, served over sushi rice, can be prepared Western style (grilled, then sliced into slivers, as pictured above) or Eastern style (steamed first, then grilled and left in fillets) and eaten alone or seasoned to taste with wasabi, shredded seaweed, and scallions. Though the restaurants have no direct connection, they share much in common. Both import eel, live, from Japan every week. Both charge around fifty dollars per eel—a price based not only on shipping costs but also on the fact that Japanese freshwater eel has been overharvested to the point that it’s a limited-supply luxury item. 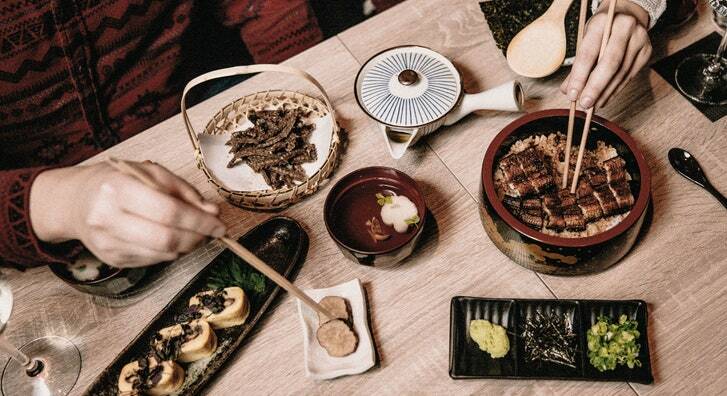 And both prepare the eel in a traditional manner—filleted, basted in a sweet soy-based sauce called tare, and grilled—and serve it with ground sansho pepper over sushi rice in a lacquered box, for a dish known as unaju. 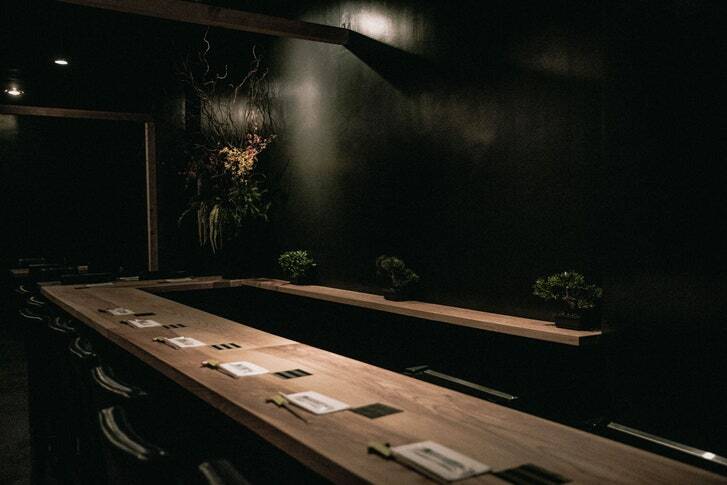 On a recent evening, I went to the newer of the two, Unagi Aburi Ittetsu, which opened in December in Nolita, on Kenmare, a street that has become so dense with Japanese restaurants that you could call it Little Japan. The wealth of options—a ramen joint, a shabu-shabu omakase counter, a yakitori grill, a sushi spot, one shop for soba and another for Japanese curry—might help explain why Unagi Aburi Ittetsu, a brightly lit little box that seats only seventeen people, was nearly empty around eight o’clock. 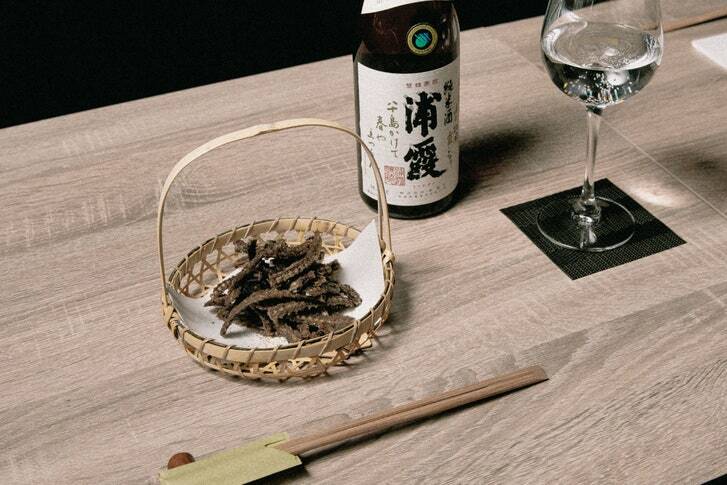 Tiny, spiny eel bones, deep-fried until they’re as crunchy as potato chips, are offered as an appetizer. Should Diablo eat at Unagi Aburi Ittetsu the next time he’s in New York? The unaju here makes for a decent meal. Each eel is cooked over charcoal until its gray skin gets charred and silvery, its flesh soft and flaky; the tare is sweet but balanced, the chewy grains of rice candied in drippings. Each box comes with a cup of average miso soup and a few slices of pickled radish, and can be supplemented with blanched vegetables and overcooked edamame. Diablo, and anyone else seeking unagi, would be much better off at Unagi-Ya Hachibei, which opened in November. Up an anonymous set of stairs in midtown, the place has a bit of a speakeasy vibe, romantically dim and atmospheric. At lunch, a whole-eel unaju is ten dollars more than at Aburi Ittetsu. (At dinner, it goes up another ten.) The difference is worth it for what’s included: a tangle of mixed greens; a bowl of clear, fragrant, floral-tasting dashi; smoky daikon pickles; and thick, almost stretchy yuzu sorbet or matcha ice cream for dessert. 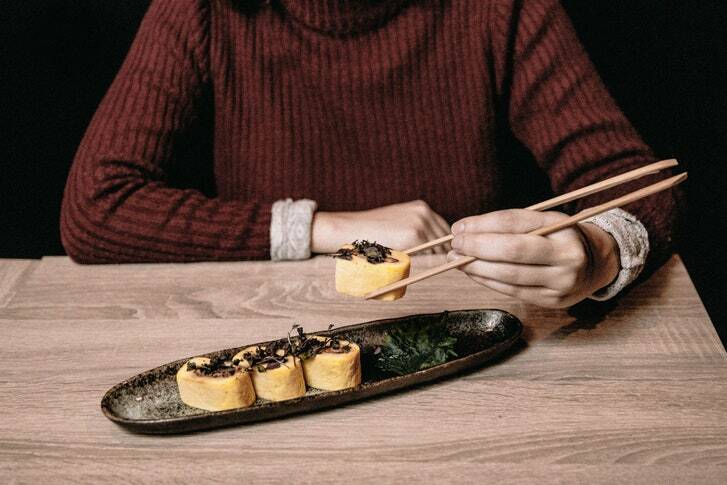 For another appetizer, a fluffy yellow omelette is rolled around eel, sliced into segments, and garnished with shiso sprouts. But the eel itself, sourced, the menu specifies, from Aichi, in central Japan, is a cut above, too. You can order it Western style (grilled, for a firm texture, then sliced into slivers) or Eastern style (steamed first, for silkiness, then grilled and left in fillets); either way, the cleaner, more buttery flavor of the fish shines through. The recipe for the complex, caramelized tare was honed for decades on Kyushu, the southernmost of Japan’s main islands. Up a set of anonymous stairs, the dining room has a bit of a speakeasy vibe, with a romantically lit bar. Hannah Goldfield is the food critic for The New Yorker.